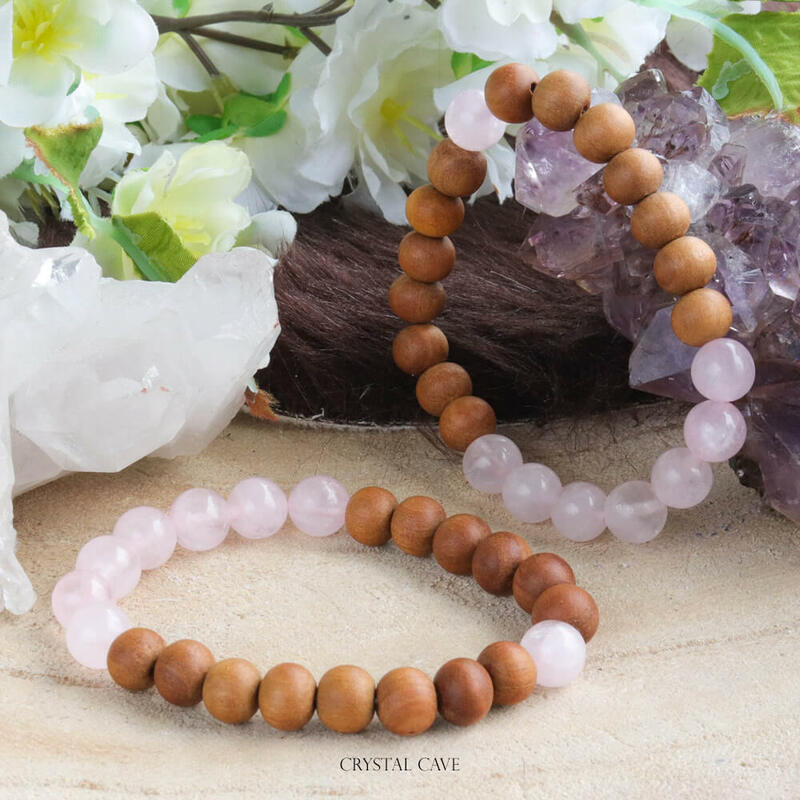 Rose quartz bracelet with sandalwood beads, made in our own design! 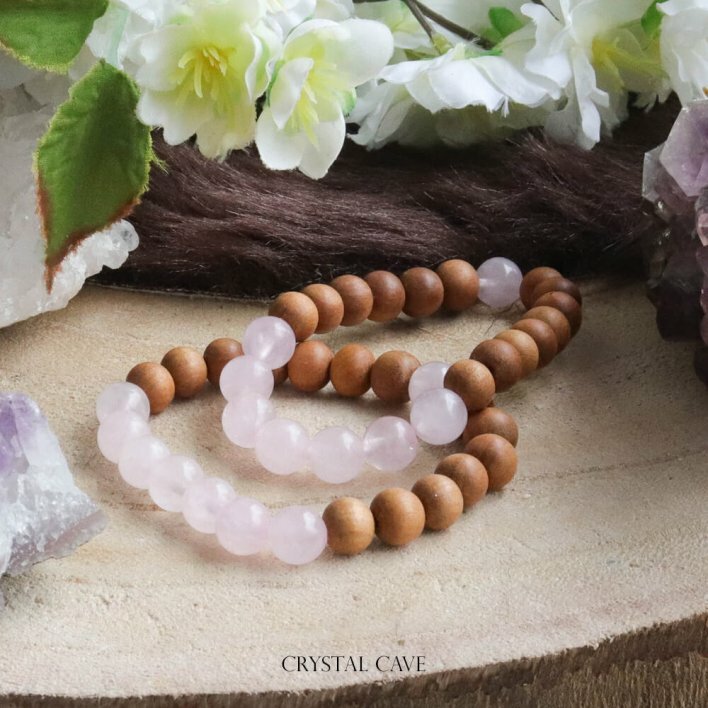 This beautiful rose quartz bracelet can be stacked with other bracelets from us. Rose quartz is known as the stone of love. Rose quartz learns to love yourself and others, even after bad experiences. 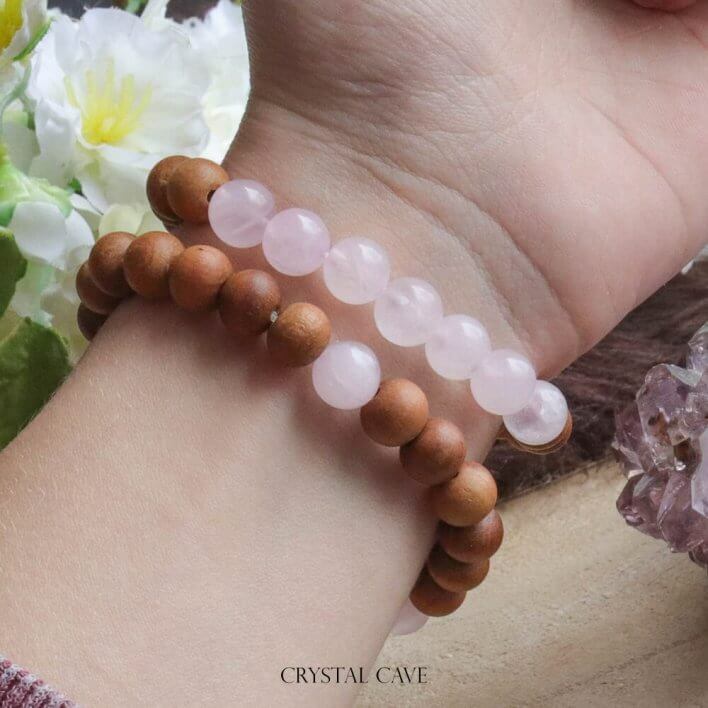 Rose Quartz increases empathy and makes you more unbiased, playful and cheerful. It heals a broken heart and problems with the circulatory system and has a rejuvenating effect on the skin! The beads are all 8mm in diameter. – Store your gemstone bracelet and other jewelry separately to prevent scratches. – Only change your gemstone bracelet after washing and applying make-up, hair spray, gels, lotions, sunburn or perfume. – Try to protect your gemstone bracelet against chemicals, extreme temperatures and prolonged sunlight. – Do not wear your gemstone bracelet while swimming or showering. The chlorine or salt sea water can cause color changes and damage to various gems and other components.